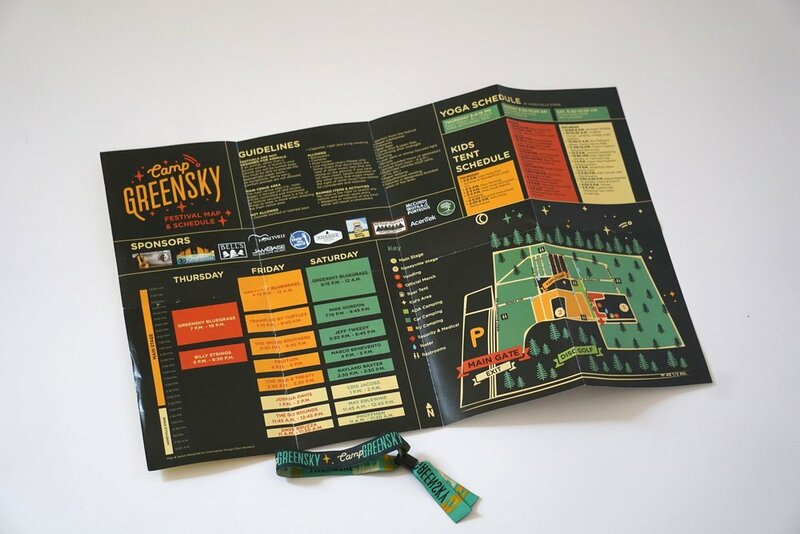 The first Camp Greensky Music Festival was held in 2018 in the forest of Wellston, Michigan, on the newly expanded Hoxeyville Music Festival site. I was provided with an outstanding branding kit made by the creative folks at Anthem Branding in Boulder, Colorado. 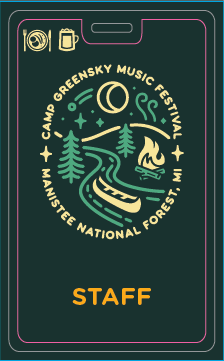 I ran with the branding elements and made some of the festival essentials like schedule, map, program, wristbands, volunteer shirts, laminates for staff, and the banners on the stage. Mini Laminates for kids and dogs were basically the cutest things I ever made.